Tanya Davies has extensive experience in complex and difficult family law cases to help clients settle their difficulties efficiently and definitively. 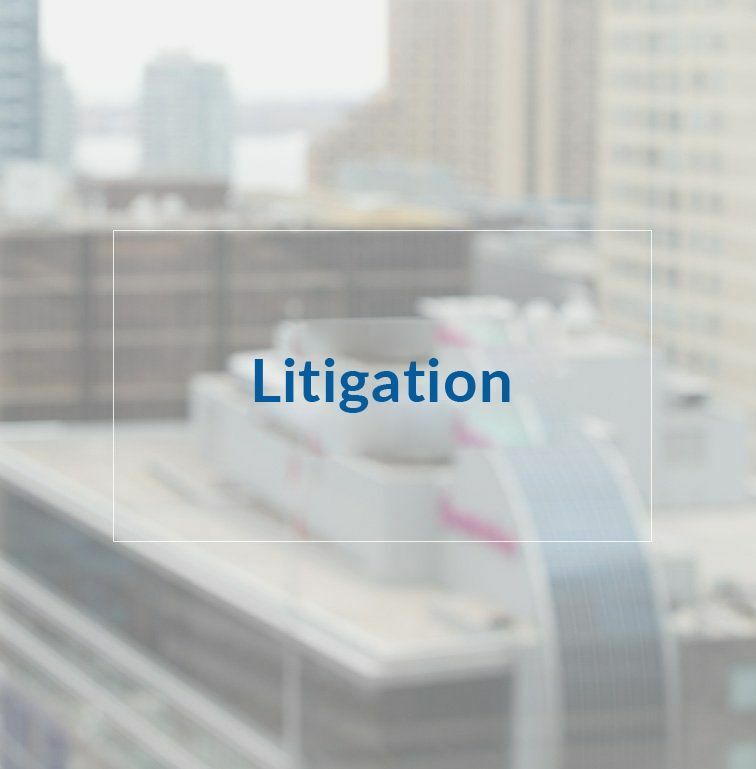 Our divorce lawyers for Ottawa and surrounding areas have extensive experience in cases that require working with a variety of financial professionals. Our Law Firm’s approach to your case is based on individual circumstances. Whether it is a simple negotiated settlement, or it requires an assertive approach, we will protect and defend your best interests. At Davies Law Firm, we have your best interests at heart and have the competence and professional skills necessary to make your journey through the legal process as stress-free as possible. We listen to establish what is important to each and every client and take the time to discuss your position, your concerns and your legal goals. Deliver To Clients Legal Solutions Which Create Desired Results. At Davies Law Firm, we believe that open and frequent communication is crucial to understanding and fulfilling your needs. We want to know what legal outcomes are important to you and we will engage you, the client, at every step of the proceeding to make the legal process transparent and to ensure that we can deliver to your expectations. At Davies Law Firm, we provide the highest standard of client care and family legal services, so you can be sure you are getting the best possible legal representation. If you want peace of mind that your legal rights are protected, contact Davies Law Firm. As an experienced Ottawa-based family lawyer, I keep your best interests at heart and have the competence and professional skills necessary to make your journey through the legal process stress-free. I listen and get to know what is important to each and every client and take the time to conduct a review of your concerns, goals and desired legal outcomes. As a lawyer who has restricted my practice exclusively to family law, I’ve learned that open and frequent communication is crucial to understanding and fulfilling your needs. I want to know what legal outcomes are important to you and to engage you, the client, at every step of the proceeding to make the legal process transparent and to ensure that I can deliver to your expectations. Davies Law Firm offers the highest standard of client care and family law services, so you can be sure you are getting the best possible legal representation. If you want peace of mind that your legal rights are protected, contact Tanya Davies – a legal representative who cares! Tanya Davies is a highly experienced divorce lawyer who represents clients in a range of family law cases, including divorce, child custody and access, child and spousal support, and property division. In Ontario, a divorce can be obtained once the parties have lived separate and apart for one year. This separation can be either physical or emotional. Grounds for an immediate divorce are cruelty and adultery. Divorce can be a world of conflicts between the two parties, or it can be civil. Either way, a court order is required. It is important that you are fully aware of the impact a divorce can have on your parental and matrimonial property rights. Even if the divorce is uncontested and all the issues are agreed upon by the couple, it is essential to consult an Ottawa family lawyer and obtain independent legal advice. At Davies Divorce Law we will vigorously protect your rights in and out of court. Child custody and access are the two most difficult aspects in a divorce. The basic issues that revolve around custody are who will be the primary decision maker in regards to the child and which parent the child will live with. Access involves visitation schedule of the other parent. The custodial arrangements may be worked out between the parents, or with professional assistance. At all times, the child’s best interests must be a priority. When the parents are not able to agree either in mediation or with the assistance of their lawyers the lawyer for either parent can commence an application in court and the judge will decide. You need Davies Law Firm representing you to ensure that yours and your child’s rights are protected. It is the legal duty of the parents to support their children. When parents separate or divorce, one parent often ends up paying child support to the other. Let Davies Law Firm explain to you how child support in Ontario is calculated and ensure that the paying parent does not avoid his / her obligations. Davies Law Firm specializes in the division of property upon separation. Property claims in a separation and divorce can be complex, and it is essential that your rights and interests are protected. Divorce lawyers in Ottawa represent both parties involved, ensuring that property settlements are fair and just. Our Ottawa based, prenuptial agreement lawyers are skilled in drafting marriage contracts specific to individual circumstances and will ensure the legal criteria are met and that the document is legally binding. Please read more to learn how Davies Law Firm can protect your legal rights. Separation agreements are formal, legal documents, which outline temporary or final terms by the couple involving all legal issues arising as a result of their separation. Such issues include child custody and access arrangements, settlement of the couple’s property claims, possession of the couple’s matrimonial home and financial support for the children and the spouse. At Davies Divorce Law we are experienced at drafting separation agreements that will serve your best interests and protect your legal rights. Before filing an appeal with a higher Court, your lawyer will review exactly what it is that you want to appeal. In certain cases, it may be possible to simply request a modification to an existing Order or Agreement with the lower Court. We can help you navigate this difficult process. Ottawa divorce lawyer, Tanya Davies, is highly experienced and is not afraid to take matters to Court in front of a judge, should it be necessary to resolve outstanding issues in your separation and divorce. Davies Divorce Law is an Ottawa law firm that specializes in all aspects of family law, including separation and divorce. Our lawyers are skillful advocates that are knowledgeable and compassionate. We provide independent legal advice and represent individuals in court to ensure that their best interests and rights are protected. Contact us today for a consultation. Tanya is an excellent lawyer. My case was incredibly complex. If you’re looking for a therapist, don’t use your lawyer! Tanya advocated with excellence for my case. She’s a tough opponent in the courtroom too. Thank you for providing the feedback on the situation and clarifying my options. I find you very strong and confident and it is always appreciated as I respect your thoughts and opinion.